Answers to your questions about the BlueConic AI Workbench. Q: How can I get started with AI Workbench? A: See the documentation on getting started with AI Workbench and also the AI Workbench API. Contact your BlueConic Customer Success Manager or contact us to learn more about AI Workbench. Q: I'm new to Jupyter and Python. Where can I learn more? 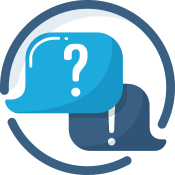 Q: Where can I find the AI Workbench API reference? A: See the AI Workbench API page for reference documentation. Q: I'm a developer working in a Jupyter notebook, and I don't see the changes that another user has applied to my notebook code. A: While your notebook (kernel) is running, you and your colleague will each work on your own version of the same notebook. The person that last saves his or her version of the notebook will save that version to BlueConic. After your kernel is terminated (manually or automatically) the latest saved version will be shown when you open the notebook again.